If you are looking for information on the Nrgize franchise business opportunity, Enrgize franchises or Energize franchising, then you have come to the right place. 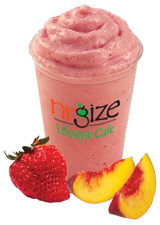 As one of Kahala Corp's fastest growing franchises, NRgize Lifestyle Cafe is rapidly expanding throughout the country with a brand approach focused on the health and fitness-lifestyle. Created to target consumers who desire quick, great-tasting food options that won't jeopardize their health-conscious lifestyle, NRgize succeeds with nutrient-packed products that fuel and satisfy everyone from the athlete to the novice, and all those in between. Located primarily inside or near health clubs, and other workout facilities, NRgize Lifestyle Cafe is now building nationwide in a multitude of locations, both traditional and non-traditional, where active communities are growing and thriving. Franchising provides an opportunity for individuals with an entrepreneurial spirit to venture into a business of their own with the support of decades of experience and proven operational systems. Extensive classroom training and in-store training provide the backbone to get your business started. NRgize offers guidance and support in operations including labor costs, food costs, cash management and human resources. 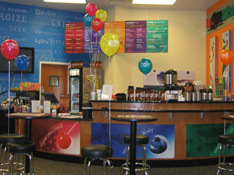 The NRgize brand is supported through marketing materials including in-store menus, coupons, and point of purchase materials that are readily available. Take advantage of volume pricing for products from produce to equipment with the buying power of over 4,500 Kahala branded stores. Not only do you have the support of over 200 staff members at Kahala Corp, you have your fellow NRgize franchisees to support you as well. Low-Calorie. Low-Carb. Low-Fat. Low-Sugar. Great Taste. Kahala Corp has developed a brand that appeals to the fitness-minded, active consumer. NRgize offers healthy options without sacrificing quality and flavor. Leaders in both the fitness and culinary industries, Kahala Corp has created a product line that delivers great taste while still keeping calories, carbohydrates, fats and sugars to a minimum. 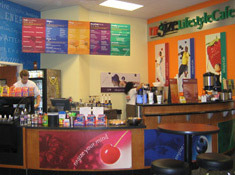 NRgize Lifestyle Cafe stands apart from competitors because of the firm commitment to health through its unique product line.